Excellent Rocky Mountain native that we love for its long long season of bloom. 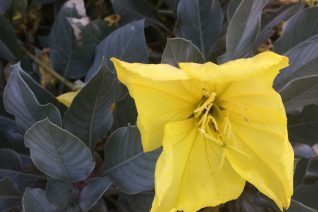 Large luminous light yellow flowers held against silvery fine foliage. Completely deciduous in winter it sprouts anew each spring to form a fairly compact spreading clump. In June and continuously for two months a parade of large flowers obscures the leaves. To just 10″ tall but spreading to about 1/1/2′ wide annually. 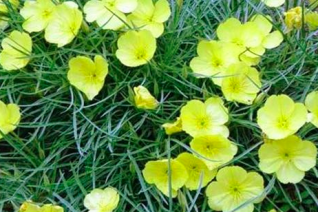 Full sun, very well drained soil and little summer water when established. Give it an open exposure with little crowding from other plants. Impervious to the most enervating dry heat. Hellstrips, rock gardens, hillsides. Moderate deer resistance. Seed grown.